Mike Bones started out as a session guitarist on the New York City indie rock scene. He briefly stepped out as a solo artist. And after recording a couple of albums, he returned to session work. He is currently a member of the band Soldiers Of Fortune. He was born Mike Strallow in 1987 in Bloomfield, NJ. Mike Bones is a childhood nickname. He started playing guitar at age six. He moved to New York City at age 18 and got into the indie rock scene. 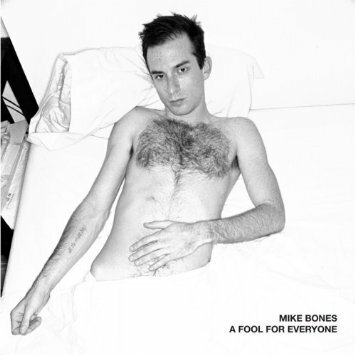 He started working on his own songs and he decided to record as Mike Bones. A Fool For Everyone is the second of his two albums in 2009. Recording those two albums seemed to satisfy the itch of recording solo and Bones returned to session work. He is currently a member of Soldiers Of Fortune led by Brad Truax who played on Bones' albums. They look at themselves as an anti band, a loose collective of guys who work on music. They formed in 2004 and then split up. They reformed when Bones joined in 2011. They released an album in 2015. It looks like Bones prefers that to recording solo. But his music is worth checking out. Here's Mike Bones performing Everybody's Always Coming Down On Me at East River Park in New York City June 23, 2007.